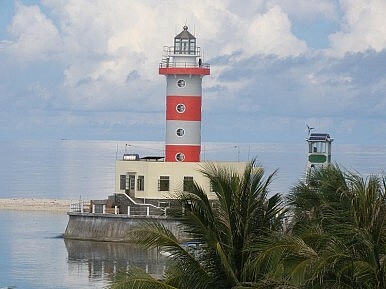 A lighthouse on one of the 48 Spratly islands outposts controlled by Vietnam. How Hanoi deploys tourism as a weapon in its simmering dispute with Beijing over South China Sea sovereignty. Vietnam has joined China and the Philippines in their attempt to use tourism as a means of legitimizing control of disputed regions in the South China Sea. Today, Reuters reported that Vietnam will offer a special “sovereignty” cruise for a selected group of patriotic citizens – “the holiday of a lifetime,” according to the international news agency, which reviewed a recently published tourist brochure on the Saigon Tourist Corporation’s website. Prospective cruise passengers will have the chance to visit two reefs and two islands in the contested Spratlys (Truong Sa in Vietnamese), according to the document. The islands are claimed by both Hanoi and Beijing as well as other regional powers. In March 1988, the territorial conflict between China and Vietnam briefly turned bloody when Chinese and Vietnamese naval forces clashed, resulting in the death of 60 Vietnamese sailors. See 300 species of coral creating wonderful reefs in sparkling colors, in ravishing, fantastic beauty. Watch the sunrise over the ocean, and say goodbye to the sunset in the evening amid the immense sky and sea. As of now, the cruise excursion is a trial run and there are no confirmed reports that Vietnam will begin regular service, although there are tentative plans to put the Spratlys on the country’s tourism map, including scheduled passenger flights Reuters notes. Vietnam’s actions violate China’s sovereignty. We demand that Vietnam respect China’s sovereignty, not take actions that complicate or magnify the situation, and make proper efforts to safeguard the peace and stability of the South China Sea. In response to a letter by four US Senators to the Departments of Defense and State, Beijing tries to ridicule the US.